Villa immersed in the Tuscan countryside 1km from the sea of Marina di Scarlino. Free beaches and wide pinewoods very close. Private park of 20.000 sqm fenced. 2 double bedrooms, 2 bedrooms with 2 single beds each, for a total of 8 beds. 2 bathrooms with shower, very large living room, 2 large porches. Pets allowed on notice. Private parking on the property. Barbecue, washing machine and mosquito nets on the windows. 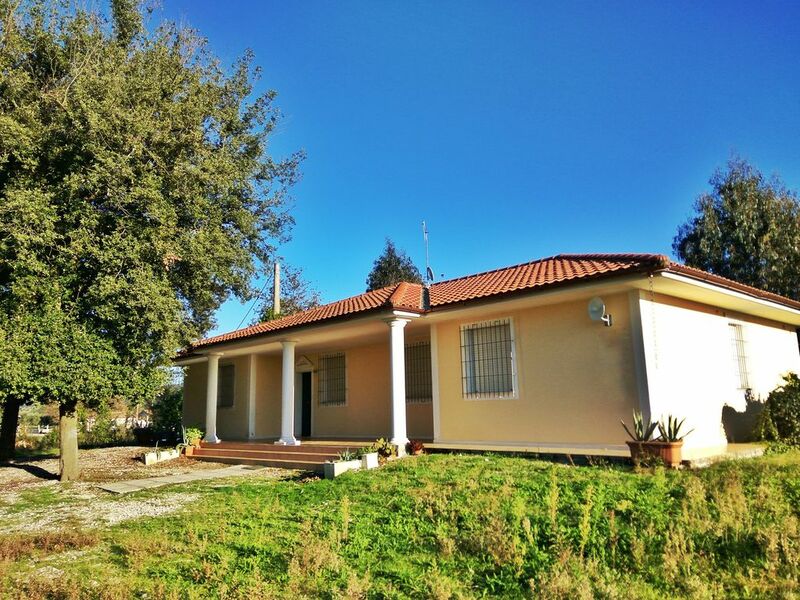 The house is close to the tourist town of Follonica, very lively in the summer. Here you will find many shops, restaurants, supermarkets and the train station. A 5-10 minute drive away are the famous beaches of Cala Violina, Cala Martina, Cala Civette, Cala Felice. The house is also ideal for those who practice sports: it is an excellent starting point for excursions by bike or mountain bike in the most characteristic itineraries to discover Tuscany. Nearby there are kitesurfing, windsurfing, sailing and famous golf courses. We will report to you all the activities that can be done in the area. 25% of the total amount is required at the time of booking and the balance of the remaining amount within 45 days of arrival. In case of last minute booking less than 45 days in advance from the arrival date, payment of the total amount in a single solution. Water consumption included in the price. No type of service is offered to the person characteristic of the hotel business.